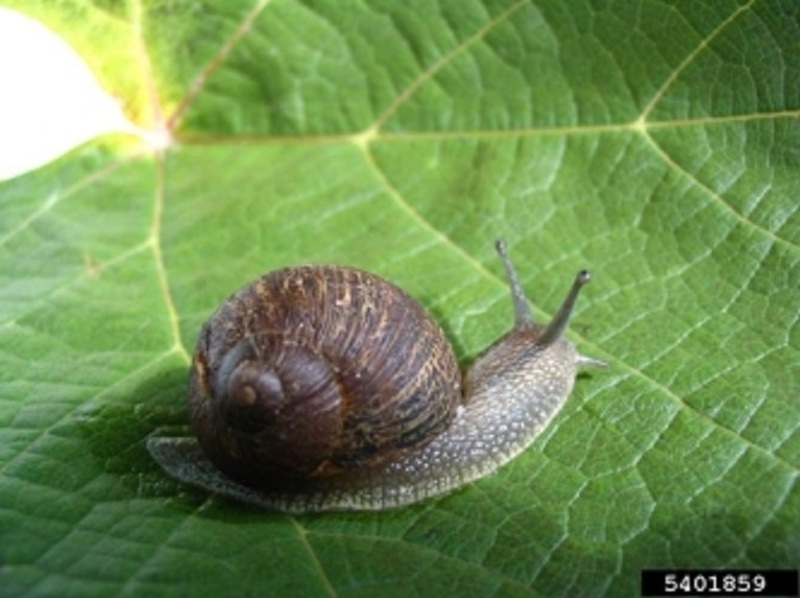 Slugs and snails are soft-bodied, legless members of the mollusk phylum that are common throughout the state and are often serious pests in ornamental and vegetable gardens. They may measure up to four inches in length and are yellowish-brown to black in color. Some may be mottled or streaked with darker markings. All species leave a telltale, silver-colored, slime trail wherever they travel on their flat bottom side which is called a ‘foot’ and leads to their name Class name Gastropod (or stomach-foot). These trails can be seen on foundation walls, basement floors, roads, walkways and plant leaves. Slugs and snails have similar structures and biologies except that snails have an external spiral shell. Most slugs and snails are hermaphrodites meaning that they have both male and female reproductive organs. They still need to find another slug or snail to mate with and a few days later will lay up to 30 eggs in moist soil or under a log. Eggs may be laid any time from spring to fall so all stages of growth can be present year-round. Slugs and snails require a great deal of moisture and prefer dark areas. They are commonly found associated with moist, dark places such as under boards, logs, stones, decaying organic material, mulch, and trash, flower pots, in crevices and under decks, especially in shaded locations. They feed mostly at night and hide during the day to avoid the drying effects of sunlight. They feed on many kinds of plants, chewing ragged holes in the leaves, especially those that lie close to the ground. They also feed on molds and decaying vegetable materials. Don't expect one method to do the job; use a combination of methods. Eliminating their hiding places can often control slugs. Remove rotting boards and other debris left on the ground. This is most important in shaded areas. Tall and densely growing plants should be thinned to allow for more sunlight and air movements. 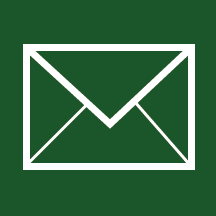 Unfortunately, it may be impossible to avoid plant damage near rock walls or wooded areas. Avoid heavy mulching of susceptible plants. Pieces of board, old shingles, half grapefruit or melon rinds and other materials not less than six inches square are effective traps when placed on the ground in gardens. Each morning the slugs can be collected from under the traps and destroyed. An hour spent handpicking and destroying slugs can noticeably reduce their numbers. Going out every night for a week after dark with a flash light or early in the morning while it's still cool and damp and handpicking slugs and snails and dropping them into a pail of soapy water will lower your population significantly. There after once a week handpicking should keep them under control. Copper fly screening, about four inches wide or a copper strip placed on edge and partially embedded in the soil for support, will keep slugs out of an area. Bending the screening to the outside appears to increase its effectiveness. A two-inch-wide copper strips, wrapped around trees, will keep slugs from climbing trees. Slugs will avoid crawling over anything dry, dusty or scratchy such as gravel, sand, and diatomaceous earth or crushed lava rock. The excessive secretion of mucus needed to cross such materials soon exhausts them and they die. A border 18 to 24 inches wide of any one of these materials should be helpful in control. Diatomaceous earth will need to be replenished through the summer. Be sure that all snails and slugs are removed from the enclosed garden and there are no leaves crossing the barrier. 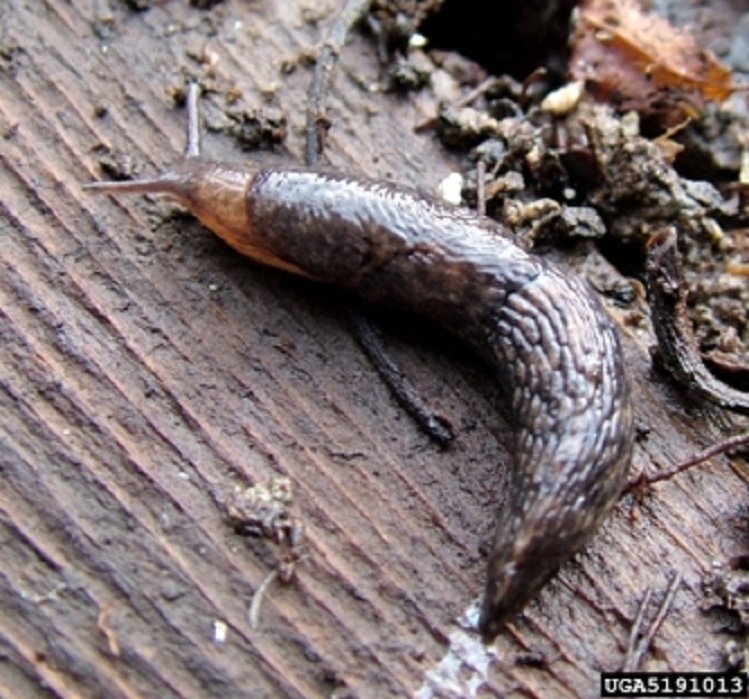 Research has shown that beer can be used to control slugs with the nonalcoholic beer having a slight edge. A mixture of sugar, water and yeast can be used instead of beer. Slugs are attracted to the yeast in the beer or sugar water mix and crawl into the dish or pan and drown. Sink a shallow dish or pan into the ground so that the top edge is a bit above ground level and fill it with beer or sugar water. Put out such traps in the early evening when slug activity starts. Replenish the beer or sugar water as needed. A plastic cottage cheese container, cover on, with holes cut in the sides and buried in the ground up to the holes with beer or sugar, water and yeast also works very well and keeps the dogs from drinking the beer. Several commercially prepared baits are available at most garden supply outlets that sell pesticides. Put baits out in the early evening when the slugs begin their activity since they lose their effectiveness rapidly. For best results, follow label directions carefully. Baits should be placed in such a manner so that pets and other animals cannot get to them. Slugs and snails are tenacious little creatures. With a combination of approaches and persistence you can keep their damage to a minimum.